Have you ever wanted to do a MultiStage race? There are several global series, but it can be hard to find them - they often don’t market to the US and nearby. My friend Chrissie Evans is planning on quite a few races at end of this year. She is keen on is the race around Corsica. 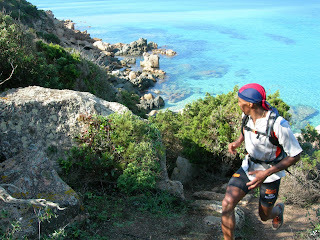 It’s October 27th, 6 stages around the coast of Corsica’s mountainous Mediterranean island. This year, you can follow her new blog at www.chrissieevans.blogspot.com where you can also find other details and check out some MultiStage races. Last year’s race attracted Europe’s 100K champion…the event only requires a hydration pack…and of course - daily massages.